The Panama Maritime Authority issues the following certificate to Panama Maritime Training Services, Inc. to provide training of STCW courses. Click here to download Resolution No. 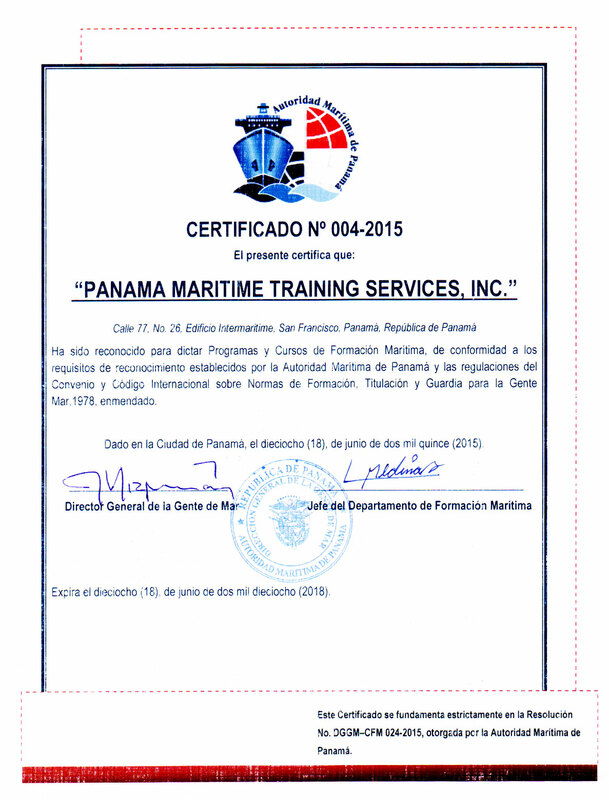 DGGM-CFM-024-2015 that states all courses approved for Panama Maritime Training Services, Inc.